On October 5 and 6, I had two short plays on stage in New York, thanks to the Nylon Fusion Theatre Company. They performed Beatrix Potter Must Die! a couple years ago, and it was great to work Cwith them again. This time they produced The Retriever, an odd little play that I wrote for Mill 6’s “T Plays” one-act festival a while ago. It’s a play about a teenager who’s run off from the prom and the teacher who is sent to fetch her and their secrets. It’s fun and a little dark. I was so pleased that the play had a chance to be staged again. 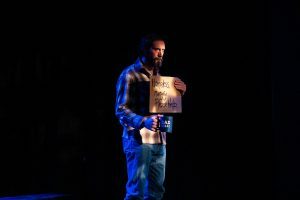 They also included Second Look, a deceptively simple play about a guy who sees a former acquaintance on the street, begging for change. 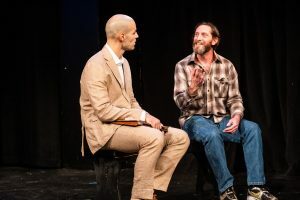 This one has been done a couple of other places, including twice at the Boston Theater Marathon (it was in 2018’s Marathon for a repeat performance, as one of the “best of the fest” selections). 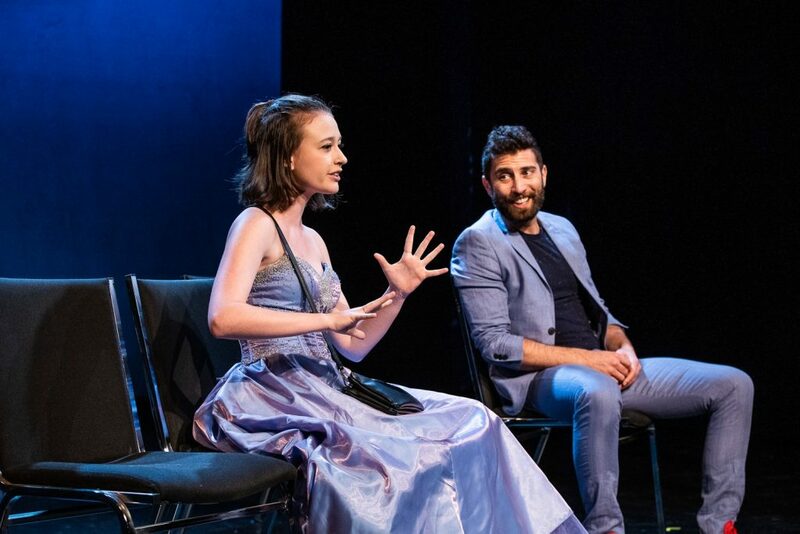 It’s a deeply human play about the awkwardness of hard situations and what we choose to see, and when we might not want to be seen.